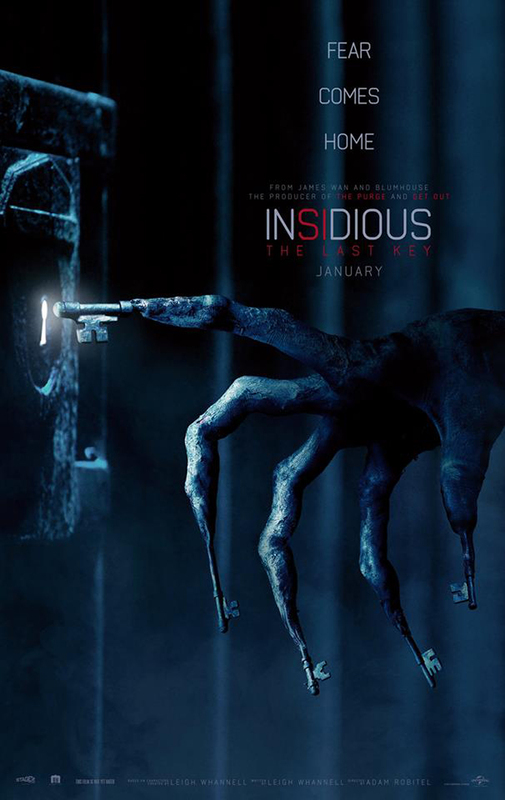 Teaser Poster Arrives for "Insidious: The Last Key"
Columbia Pictures has unleashed the teaser poster for its upcoming horror-thriller Insidious: The Last Key, in Philippine cinemas in January 2018. The creative minds behind the hit Insidious trilogy return for Insidious: The Last Key. In the horror thriller, which welcomes back franchise standout Lin Shaye as Dr. Elise Rainier, the brilliant parapsychologist faces her most fearsome and personal haunting yet: in her own family home. Insidious: The Last Key is distributed by Columbia Pictures, local office of Sony Pictures Releasing International.